TULSA, Okla. (AP) – A Tulsa park that recently turned away people carrying handguns has prompted questions about the property’s gun policies and whether the recreation area is public or private. The Tulsa World reports that an Oklahoma Second Amendment Association member was among three individuals carrying a handgun who were prohibited from entering the Gathering Place last weekend. Park officials said Saturday that handguns are not permitted at the park because firearms don’t create a safe environment for Tulsa families. 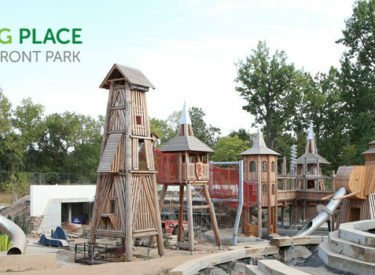 Gathering Place currently operates as a private enterprise but was gifted in 2014 to River Parks Authority, a public entity. Association President Don Spencer said Tuesday that state law allows licensed handguns in a park, regardless of if it’s public or leased from a public entity.